What is there to know I hear you ask? Surely a restaurant is a restaurant in Crete, the same as it anywhere else? 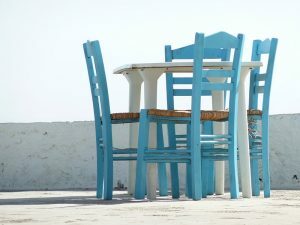 Well you would be forgiven for thinking so, but if you want to experience the best of Greek cuisine on the island of Crete, it is best to understand and recognise the different types of eateries of Crete which are prevalent on this amazing island. Take a stroll down most Crete roads and you will see plenty of Furnos, or pie shops. They are literally everywhere and perhaps the most common type of eatery in Crete. They sell all sorts of pies, from cheese to spinach, and the locals are often seen walking down the street with pie in hand, at all times of the day. If you are a pie lover, then Crete has to be on your wish list as a holiday destination. Another food shop which you may come across is a Kreperi, a place which sells crepes often at rock bottom prices. If you are a bit peckish then popping into one of these if always a safe bet. Crepes containing cheese are very popular, and can often be topped with mushrooms too. This is a classic restaurant and what many of you who visit Crete will be expecting to eat in most of the time. It will have a fairly broad menu, covering local dishes as well as certain international foods too. Prices can vary – if you are in a popular tourist resort then expect to see a bigger mark-up then you would do in a less popular area. 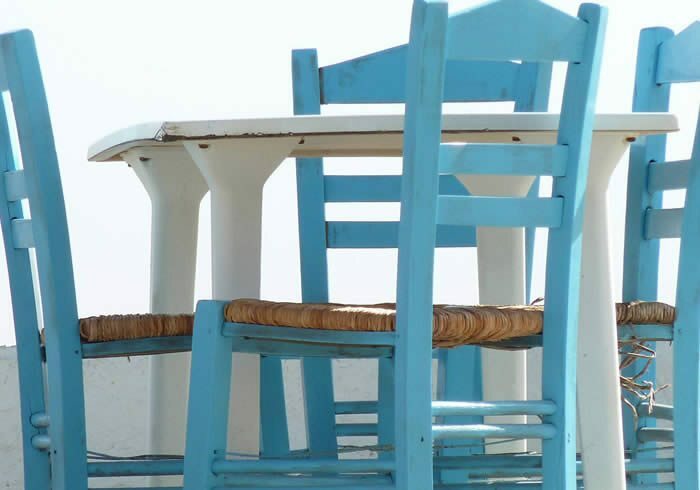 For a traditional experience, you must visit a taverna. These are essentially just small restaurants, run by families who have in some cases converted parts of their home to serve locals and increasingly tourists. These are the places to head to if you want home style cooing in a relaxing atmosphere without paying over the top for the pleasure as can be the case in some restaurants, as is the case in cities throughout the world. No matter what you fancy to eat the best on your Crete holiday, you certainly will not be lacking in options. Why not try all of these different types of eateries on your visit? That way you can experience the food the locals eat and get involved in the local culture too!